Charles Rubio is a partner based in Diamond McCarthy’s Houston office. 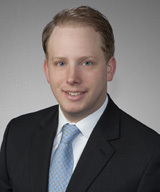 He is an experienced business attorney who represents clients in a broad range of corporate and financial transactions as well as commercial disputes. Charles’s practice has a special emphasis on financial restructurings and multi-party litigation. In addition, he has substantial experience in preparing sophisticated corporate and transactional documents. Prior to joining Diamond McCarthy, Charles was an associate in the Financial Restructuring Group in the New York office of Milbank, Tweed, Hadley and McCloy LLP. Charles advises clients in all stages of a business life-cycle. He counsels clients on business formation issues and has worked with entrepreneurs focused on start-up companies. Charles also works with business borrowers in negotiating and consummating financing facilities and other capital raises. In addition, he handles a wide-range of commercial disputes including litigation involving contract disputes, breach of fiduciary duties, preference actions and fraudulent transfer claims. Charles represents vendors, landlords, and other parties who have sued or are being sued by bankrupt entities and advises clients during the wind-down phase of a business life-cycle. These representations include counseling businesses and management on their rights and responsibilities during insolvency situations and representing clients in distressed asset sales and business restructurings.